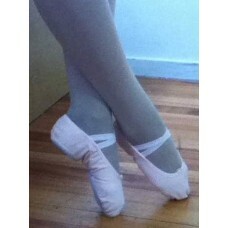 New, beautifully made split sole canvas ballet shoes, elastic drawstring and twin fitted arch elastic. Standard width. Great spare pair of ballet shoes. Washable.